Is your network ready for PoE with 90 watts? Since the launch of Power over Ethernet (PoE), transmittable electrical output has multiplied. Now it is to rise to 90 watts and the current is to flow over all four pairs of wires (4PPoE). 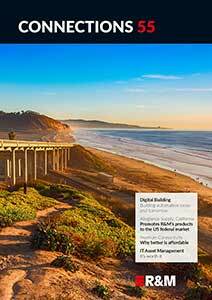 The new standard is called IEEE 802.3bt. At the same time, the LAN is to continue to ensure fast data transmission with 10 Gigabit Ethernet. PoE thus opens up fascinating new possibilities. Remote powering of end devices via LAN is becoming the key technology for the Internet of Things (IoT), smart buildings, high-speed WLAN, connected lighting, digital signage, digital ceiling and digital workplaces. Especially risky: The contact resistance increases with lower-quality contacts. This can lead to overheating, sparking and destruction. R&M findings indicate that the widely used insulation piercing contact, IPC, could be a particular danger. It is often used for wiring in RJ45 connectors of patch cords. The Insulation Displacement Contact (IDC) used by R&M excludes such risks. IDC is the one and only basis for using Power over Ethernet with high currents in continuous operation. The company is the only supplier of patch cords with IDC technology. 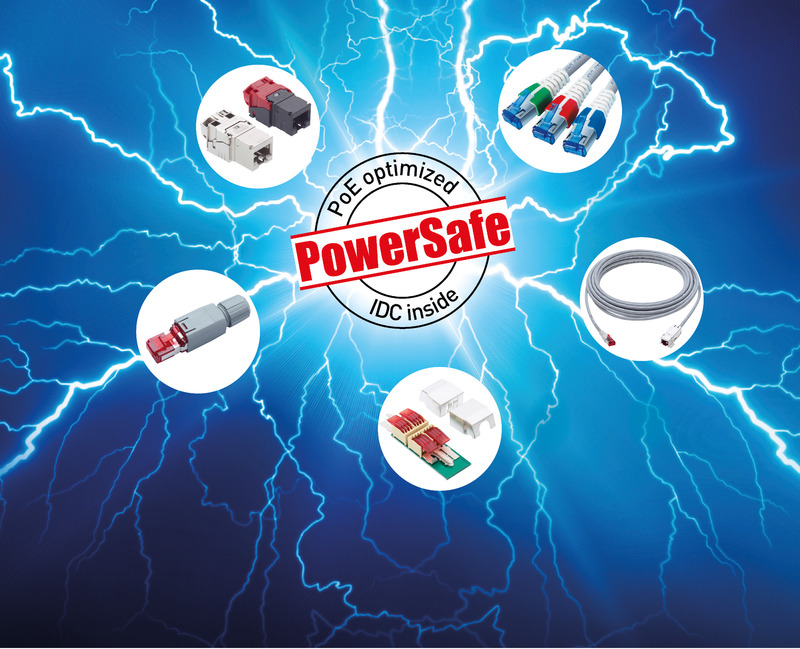 All products marked R&M PowerSafe are guaranteed to transmit Power over Ethernet safely over levels 1 – 4 (15 – 90 W). R&M also provides advice and planning aid alongside the PowerSafe quality seal and specialist information on Power over Ethernet. More information on the PoE sites.